In high-rent cities like Hong Kong, where having a cool shop location is extremely cost prohibitive, Heartschallenger has come up with a unique solution. Parked on the streets of New York, Los Angeles or Miami you might spot one of their iconic pink ice-cream trucks. What’s inside is actually a mobile shopping experience that includes limited-edition clothing along with toys, candy, music and ice-cream. Heartschallenger’s mobile fleet is a brilliant idea on many levels. Who’s gonna miss a bright pink ice-cream truck driving by? In addition to housing their stores, the vehicles are a rolling advertisement! The fact that they actually sell ice-cream may indeed be a loophole that allows them to operate in locations where they would normally be prohibited from selling. It’s genius! 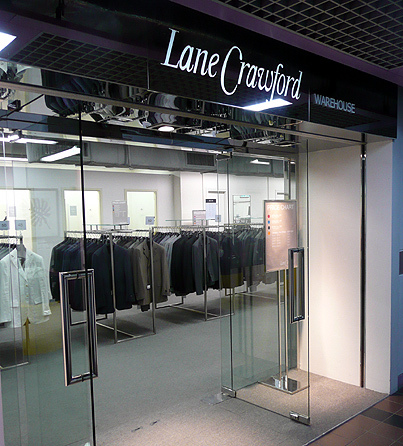 In an era where you’re able to communicate with a massive amount of people in real-time, having a mobile shop isn’t much of a detriment. Sending out a quick tweet on Twitter, or a status update on Facebook, could enable them to immediately alert potential customers of their location. Heartschallenger (unfortunately minus the pink ice-cream truck,) will be arriving in Hong Kong this Thursday in the form of a pop-up store. 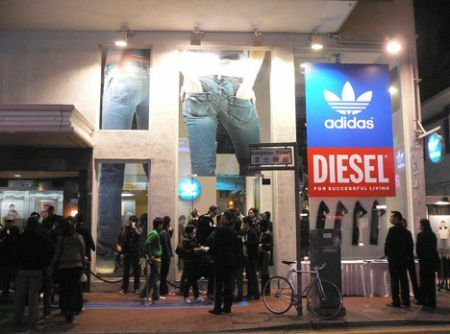 The shop will be open for one month (until November 8th,) and is located inside the Diesel store on Kingston Street in Causeway Bay. 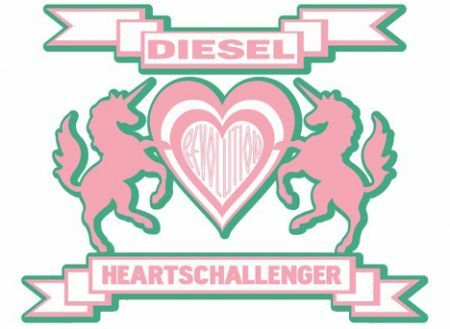 To celebrate the Diesel / Heartschallenger collaboration, in addition to the Diesel:U:Music tour, there will be a special invitation-only party this Thursday at Volar. You can win tickets to attend by going to Bravezine.com. The lineup includes live performances by Heartsrevolution, a band from New York, in addition to local group Chochukmo. Thanks JT for the better video link! Following the bands on the marquee are the Kitsune boys, Gildas and Masaya, who will be playing a special set. Mark the Cobrasnake, an L.A.-based party photographer will also be in the house. Previous articleSomething holy? Nah, just Steve Aoki! Next articleArt shows: Tangled + Panic in Chai Wan!